If there’s one thing Rickey Medlocke can’t do, it’s sit still. The Blackfoot co-founder and Lynyrd Skynyrd guitarist is constantly looking for ways to challenge his creative impulses, and his latest pet project has been to shepherd the next-generation incarnation of his beloved Blackfoot. 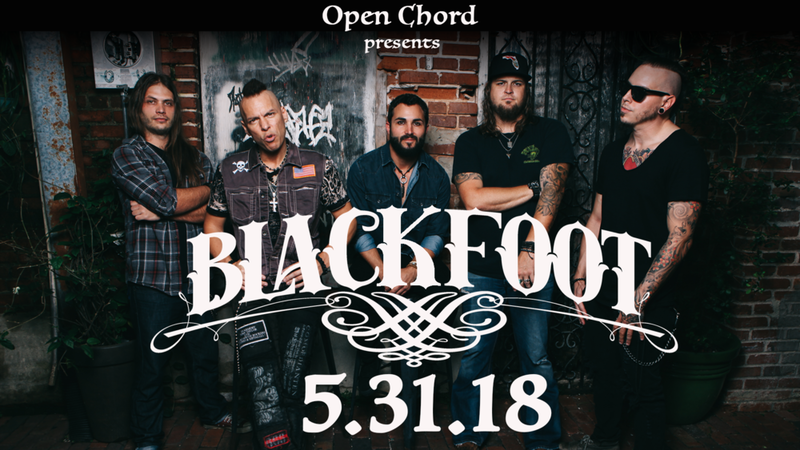 Under Medlocke’s steady guidance, the Florida-based band — lead guitarist/vocalist Tim Rossi, drummer Matt Anastasi, Lead/vocalist Jeff Shields, bassist Derek DeSantis and guitarist Seth Lester — has been jamming together live under the vaunted Blackfoot banner since 2012. Expect to hear all of the Blackfoot classic hits such as "Train Train" and "Highway Song" along with the new album cuts as well. In 2016 the band released a new album, Southern Native, on Loud & Proud Records. They have toured constantly throughout the US and have even taken their new line up to the UK, performing at the popular Hard Rock Hell festival. They are currently in the studio working on a hard-charging new album. In 2018 Blackfoot will be performing select shows with Lynyrd Skynyrd on their Last of the Street Survivors Farewell Tour.